Cristiano Ronaldo on Wednesday scored the only goal of the match as Italian Champions Juventus lifted the Super Cup by defeating AC Milan at the King Abdullah Sport City Stadium in Saudi Arabia. Ronaldo’s goal against Milan was also his 19th in 30 appearances in a final match for club and country. 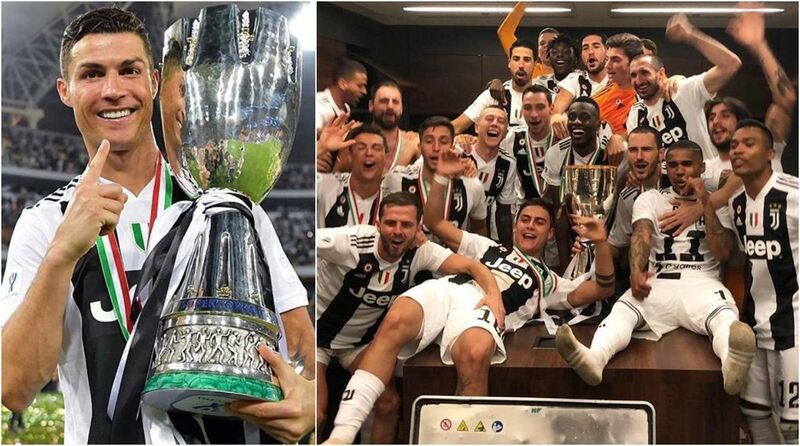 Juventus has now won the Super Cup for a ‘record’ eight times, which is one more than Milan. Inter has won the Super Cup five times. “I’m delighted not just to have scored but also to have won my first trophy with Juventus. It’s a good start to 2019 and this is something I really wanted. I’m happy. We have to keep it up now as we have lots more targets to achieve,” Ronaldo added. “I’d like to dedicate this trophy to everyone who loves Juve… and Cristiano,” former Real Madrid and Manchester United striker concluded.